The year was 1930. Businessman Ellis E. Phillips, Sr. was more optimistic about the future than many business people of the depression era. He founded Cotton Belt Mattress Company and began operation in Rocky Mount, NC. The original factory manufactured cotton mattresses that were sold and delivered up and down the East coast from Maryland to South Carolina. 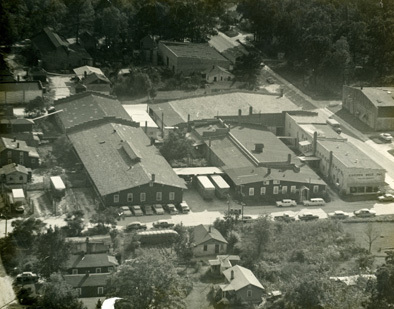 In 1932, the factory was moved to Pinetops, NC, its current location. The company increased its production to include innerspring mattresses, and studio couches were added to the line in 1935. The company’s name was shortened to Cotton Belt, Inc. as other products were added to the line such as sleepers, sofas, chairs and recliners. The sales and delivery territory increased to include Pennsylvania and Georgia. In November of 1935, the company experienced a setback. A large brick building housing Cotton Belt burned to the ground with a loss estimated at the time of $50,000. The flames spread quickly and the building was nearly destroyed, but the company quickly continued its operations. Over the years, the business that started as a small specialty manufacturing shop has evolved into a large manufacturing operation with a greatly expanded line of products. It now manufactures a full line of upholstered contract furniture under the Edgecombe Furniture brand. The mattress business now includes products from Therapedic International, as well as our own Sleepworthy brand. Due to continued growth, in 2000 the mattress production moved into a separate manufacturing facility also located in Pinetops, NC. The Cotton Belt, Inc. business spans four generations. Ellis E. Phillips, III is now president, and his son Robert H. (Bob) Phillips, daughter Mary P. Walter, and son-in-law Stephen H. Walter serve as Vice Presidents managing the daily operation of the two manufacturing facilities. The employee total includes over 100 local citizens. Company manufactured products are now shipped to all fifty states and overseas.